"Keep your team up to speed"
Good interface for sharing dashboards with the team. Tons of different integrations and options for collecting data; ties easily into a lot of tools that we're already using at work, like Salesforce, Google Analytics, and Heroku Dataclips. We have TVs throughout the office with individual goals for different teams, and can quickly spin up new ones throughout the year. They're pretty opinionated about what sort of graphs are effective; their approach is pretty good at keeping you from shooting yourself in the foot. One of my favorite graphs for trending data is to show rolling averages; I really wish that they supported this out of the box since I have to build it myself in a ton of different formats. Some of their older charts types (RAG type) especially are sorta hard to read. It is pretty much on you to figure out how to show projections and daily targets, I wish they'd provide a little support around those problems, which can be kind of tricky. Tracking daily / weekly / quarterly metrics. Sharing progress on goals. Rallying team members behind a very visible goal. "One stop shop for wallboard requirements"
Ease of use, cost, integration availability, flexibility and feature set. Some integrations missing. Some duplication without obvious explanation as to why both exist and which one you should be using (nothing that a bit of playing around can't solve). "Track whats going on across multiple departments in real time"
I love all the real-time dashboards. It allows me to see what is going on across multiple departments at all times. We can see when users are submitting content to our site, monitor leaderboards, and track performance metrics. I have it up on my second monitor at all times to see what is going on that day. I wish you could click on the dashboards and take a deeper dive into that specific metric. This functionality could exist but not currently in the way ours is set up. I am not sure of the cost, as I was not the one to purchase it, but I can say that the product is very good for what we use it for. We have dashboards displayed all over our office and can access them on our personal computers as well. I personally have mine up at all times. Performance tracking and real-time feedback on site metrics. A benefit I have realized is it is also easy to create new dashboards for internal campaigns and incentives (for example - our sales team is currently running a team competition and we have a leaderboard tracked on our geckoboard displayed on the sales floor). "Using it for years - thats gotta mean something." The customisable dashboard widgets and loads of integrations. Plus the charts and the way you create them is much improved recently so I can create some great graphs from things like Google Sheets, overlay several datasets and choose exactly how big I want that on my dashboard. The cost isn't that awesome compared to others. Also they seem to have been dropping some integrations like Xero which I really wanted to get all my businesses data on there using the tools that we have in place. They also don't have Jira on the integrations which is annoying at the moment as we run a lot of work through there. I wanted to see an overview of everything happening in the company across multiple cloud apps. A centralised view of the world as it were. We're not quite there unfortunately as they don't have all the integrations I need... no one does. "Fantastic Application, We rely on it daily." The rich set of widgets that provide a plethora of view / display options with endless configurability. Managers and team leaders can review performance at a glance and Geckoboard helps remove guess work/estimates from many decisions. We have a 55” LCD display in the office that permanently displays a Geckoboard which provides our production and fulfillment staff with a view of the volume of work they have processed each day and a view of how much work remains in our back log. This enables them to prioritize, know their performance and understand what tasks are coming up. We get a lot from the set of boards we have created to provide the various areas of our business with relevant and up to date information on how we are performing. Very occasionally some of our widgets have issues refreshing or loading. It’s an very infrequent issue that is easily resolved with a page refresh. This small inconvenience is the only thing I could even consider complaining about (and I have a feeling that this one gripe is actually an issue in our network). Spend the time learning Geckboard’s rich feature set then spend more time designing your boards to meet you or your businesses needs. Done well this application excels at providing an on-the-pulse view of your activities. Takes the much of the guess work out of decision making us more accurate and efficient. Allows our staff to have a current view of the health of the business at any given moment. Motivates staff by providing a view of how we are doing and what we need to prepare for next. "Geckoboard is a great solution to display data to co-workers/clients!" This product is a fantastic solution for taking complex data and displaying it in an easy to read fashion. I use this product in the real estate industry. The dashboards I've built-out allow me to share information that I track with my agents so they always know the most important stats and figures as a company. I also track their sales and it helps as a non-verbal accountability tool. I also use this product to externally market our team with working with public clients. Pulling up our numbers in our dashboards is an impressive way to not only help sell our services, but stand out amongst our competition as a modern and business savy real estate team. There was a bit of a learning curve in that I had to create new spreadsheets for my data to use this product correctly. Essentially, if you have a spreadsheet that you work out of and have moving cells/formulas, Geckoboard will not follow the cells you have linked. So the workaround is to create additional sheets of information, linked to the sheets you normally work out of, then connect Geckoboard to the newly created sheet with the cells that stay locked in. I think a nice addition to this product would be making custom widgets easier to obtain. I watched a webinar about creating custom widgets and you had to know how to code in order to use them. As this products grows and develops, it would be great to see more of a plug and play system to get the result of what are now custom widgets than you have to code from scratch. My problem was that I had a mass amount of information in spreadsheets that I knew my agents weren't looking at but would have value to them. This product helped me to solve that issue as I now have an 80" TV in our office that rotates our dashboards throughout the day. An additional benefit is that we figured out a way to track numbers that would be beneficial to potential home sellers. We can instantly show them how quickly we sell homes and, on average, how many showings they can expect before an offer normally comes through. It's completely configurable. Need something specific to your use case? Just use custom components! The API is super simple, pull or push. We were able to quickly produce an API wrapper which we use to push all kinds of data to our various boards, and it's simple enough that the display is understood by almost all employees here at the company. We love having it displayed during meetings, and it's one of the most commented aspects of the meetings that we get feedback about. I wish the grid system was not so fixed. It's a bit hard to fit everything on this large screen TV on the wall. Fluid grid system please! Start using custom components, it really makes the system work well! I'm monitoring multiple systems in a verity of environments. Geckoboard helps me get that done at a glance, so I know what needs my attention as fast as possible. We don't have a specific operations team of employees (small company), so we needed something that would help the few of us here to do the same job. "Perfect dashboard for the office"
easy to view and access analytics for the office. It's so simple. I don't know why it's such a great product, because it really is so simple. It lacks a lot of customization but that's okay - it excels at giving you KPIs in a way that helps give everyone in the office headlines of where we're at and whether or not we're reaching our goals. The app for mobile is sweet, too. It's not that customizeable. In order to make big changes you need to hire a developer, and support won't build anything for you (understandably). Geckoboard rules- if you're wanting a complex report, Geckoboard is not your product, but if you're wanting KPIs and readily available "headlines", you have no idea how helpful this product will be. We're giving our entire team headlines for the KPIs of our department. Having all of these readily accessible on a monitor in our office helps us all know whether or not we're winning. Geckoboard is really powerful, and has a ton of really useful integrations al ready built in. It also makes it really easy to create you own integrations. The graphs and designs they have created are perfect for what we need, and make conveying the goals and metrics really easy to understand. Not being able to easily color differentiate metrics, you can custom style all of them per dashboard, but you can't just have one be highlighted orange and the rest not. You also cannot easily brand the dashboards. Its so easy to create and measure metrics the we now have dashboards with 18 different graphs on them, and 4 screens of dashboards we see everyday. We have too many metrics I don't know what I am looking at anymore. We either have a wall of green metrics(yay) or a wall of red metrics(boo) but I don't really know what the individual metrics are. So my recommendation is to be very careful with how you show the dashboards to your teams because if you have too many it becomes useless. We use geckoboard to track and prominently display how we are progressing for our goals in our office. It makes it easy to track the goals that we care about and actually makes it clear to everyone when there is one we need to pick up our pace on. "Great way to Visualize Company Goals"
The way you can show trend data on a gecko board is extremely helpful when you need to see how teams are doing based on the previous month. Love to be able to create endless boards and easily switch them out depending on our screens. A good amount of the widgets need technical support if you want to pull data in from Salesforce, Heroku, etc. Decide what metrics you really want to share and make sure Geckoboard can accurately showcase them. Sharing individual department's goals with the entire company. Wins and Losses. The user interface is wonderful and the color scheme is very pleasant. All of the graphs are easily legible and updated with accurate, live data. From a non-administrator perspective it gives me all the information I need to know where I and other teams stand in relation to meeting goals. I really don't have many negative experiences with Geckoboard. I think sometimes it displays weird, or misleading data. That may be on the part of administrators, but it may also be an ease of use thing. It seems simple and straightforward. 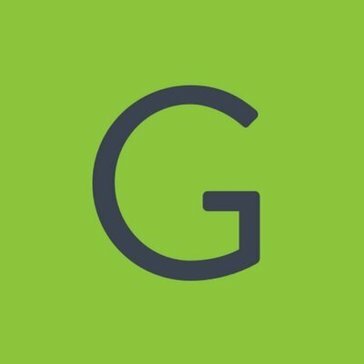 If you're looking for a simple tool to provide live updates on company information, KPIs and goals, I would recommend Geckoboard. Receiving more digestible datasets relevant to my team. "Great tool for improving transparency and motivation." Lots of integrations with key business tools. They seem to consistently be innovating and adding functionality/integrations. Interface is pretty intuitive. We use the Custom Salesforce widget extensively, which allows us to write a custom query to pull very specific sets of data. I wish there was an easier way to customize the dashboard without uploading a CSS file. It would also be nice to be able to indicate data type when creating a widget (currency, percentage, etc). A drag & drop theme editor would be great! Check out their integration list to make sure they have integrations with the tools most important to your goal for this type of software. Also, know that they have robust integrations with tools like Salesforce, but they may require some slightly technical knowledge to get what you want. Transparency is important to our leadership team, so providing real-time visibility to key metrics is crucial. Everyone can see where we are in relation to our quarterly sales goal, marketing goals, bonus achievements, etc. It's a great way to align focus across all departments, and everyone watches the Geckoboard when we're nearing our company goals. "Extremely flexible and clean mobile friendly dashboards"
The most useful feature we use currently is connecting to google sheets. We also use Basecamp. For our clients we've connected to social media information as well like Google analytics, Facebook, Mailchimp and Campaign Monitor. Having mobile access is icing on the cake. Our owners use executive dashboards for our KPIs they value seeing and we've taken those quick access features and reporting tools our client's and they love it. Some of the customizable widgets are less intuitive, but the support portals are helpful to learn more customizable features. Geckoboard is extremely flexible. Setting up some of the predesigned widgets is really simple, like the Facebook connection for social network reach/ profiles. The possibilities are much greater with data pulled in from google sheets and other connections, but will take more effort and understanding and company controls around who updates the data and when. We started using Geckoboard after our owners were getting pulled in so many directions and have so many sources of data to potentially look at. We found it extremely helpful to filter information from a variety of sources for our owners, then project managers, sales team and marketing team. Every department has different KPI's that help them do their jobs better. Geckoboard allows us to build at-a-glance dashboards and track our most important metrics in a visual way. Maybe this is just me, but I'd appreciate more options for customizing the look and feel of each Geckoboard, so that we can quickly differentiate between them. GeckoBoard has allowed us to increase visibility of our KPIs and track whether or not we're hitting our metrics. It also looks cool when it's up on a monitor in the office. 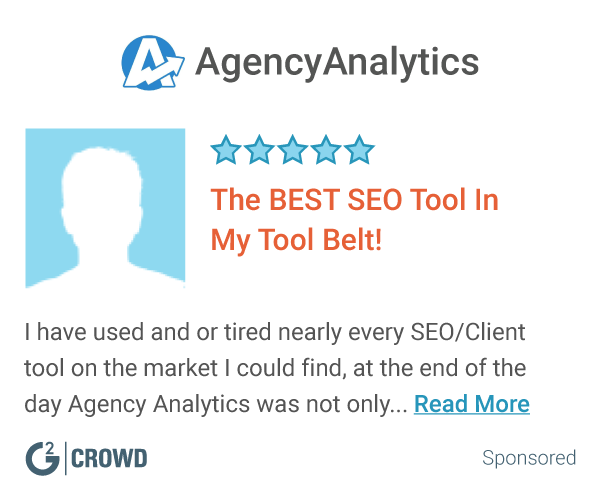 "Works great -- provides a comprehensive view of several metrics at once"
Variety of connections available -- can view just about anything in any way. You can also design and move things around to suit your business needs. Occasionally metrics time out for one reason or another, and the free version of the platform is fairly limited. We're able to see a snapshot of our business in the office -- everyone can view how we're doing at any time. It's super helpful. "Kickass dashboard for kickass team !" A lot of plugin, and if it's not there, you can manage your data in a Google spreadsheet or push via their simple API. Not that I dislike, but having more visual customization(color, layout of the graph, size) could be cool in the future. As a CTO, I keep an eye on my operational metric and the activity on my website, with Geckoboard. "Great product but could use some more customization options"
This product could use some customization in the various chart and graph selections. Dashboards are relatively simple to set up and customize. Customer service is excellent. Custom styling would be easier for more people if it weren't css driven. I'm no coder, but was able to create a custom style sheet from an example Geckoboard provided. There were a couple lines of code that weren't working (because I'm no web genius), but their customer support team sent me a couple lines of code that worked perfectly. Identifying success of our site, and specific sections of our site using numbers instead of feelings. We've seen traffic increase and pages go further by watching real time data and adjusting tactics as needed. Pricing. A little bit expensive. You should reconsider the pricing packages. "A great way to run stats boards across every department in your company"
The built-in widgets for core products companies already use. The API for custom widgets is great and easy to use. Having a dedicated customer success person to call on with the "Company" plan has been excellent. More default skins to theme different boards would be helpful. We never got around to making Custom versions. Getting lots of data from different sources and making it easy to digest so each team can monitor performance, critical events, etc. Easy to read as it has amazing dashboard views, that one can also share with stakeholders and extend and shrink as needed. Integrating is not as user-friendly as one would like, it does take slow to load and refresh, and there are a couple of times when parts of the dashboard views are a bit buggy. Great for lite data inputs. Visibility into mission-critical data in an easy to consume format. Some of the features have restrictions on formatting . We are able to present our company's data to clients in an understandable way. We have benefited from viewing and tracking our own metrics efficiently. "One of my favorite tools"
I like the ability to create dashboards with unique statistics. I enjoy the live updates into our companies metrics. It gives us a good insight into goals and performance. Sometimes it doesn't update immediately, so metrics might not be live or in real-time, but its usually close enough. It might be easier to create a series of different dashboards instead of squeezing everything into one dashboard. Otherwise, it can get crowded and cluttered. We are tracking our goals and metrics. Visualization tools tied to our Salesforce data. Visualization capabilities are limited to how the data is output from Salesforce - very rudimentary and not intuitive unless someone walks you through specifically what you are looking at. Tracking goals, metrics, data to maintain progress and trends toward goals. "Easiest way to launch a team dashboard"
Geckoboard offers a lot of integrations. They are easy to setup and most of the pre-built widgets make sense. We use it to run a team dashboard. The widgets are pretty static. From time to time you want to change a widget which is not possible. It helps us to run a team dashboard visualizing how we're doing in development and sales. I like the ability to change boards to view any analytics you want. The graphics are visually appealing, making the geckoboard's dashboards cool to view. On top of the interface appeal, it is also extremely easy to read. Additionally, the mobile app is straight forward and provides a great quick view of analytics on the go. I'm frequently logged out of geckoboard on both my mobile and desktop versions. Quick and simple views of progress on business goals. KPI's easy to setup, change. Visualizations are great particularly Google real time map and meter. Would love native stripe integration and a few others like Hubspot. Being able to visualize success and iterate. The ease of creating different dashboards and widgets to have on those dashboards. Seems like a limited color pallet and widget type. We have a little fatigue on dashboards as there is not much variance so it's hard to emphasize certain widgets for importance. KPI tracking and measurement for broad team awareness. "Nice but expensive. Not for everyone..."
Overall view of all your KPIs. I didn't change them in a while. I'm sure they have improved the widgets. Quite expensive. Maybe it's worth for quite big companies and not for everyone. Some of my KPIs all in a dashboard and that is nice. * We monitor all Geckoboard reviews to prevent fraudulent reviews and keep review quality high. We do not post reviews by company employees or direct competitors. Validated reviews require the user to submit a screenshot of the product containing their user ID, in order to verify a user is an actual user of the product. Hi there! Are you looking to implement a solution like Geckoboard?